WASHINGTON (May 27, 2013) -- "If they find every one of them, then they have done enough," said Bill Scheuneman, while standing next to his motorcycle in the north parking lot of the Pentagon, May 26. Scheuneman, a Soldier for two years and a Vietnam veteran, is one of many who want the government to do more to find prisoners of war and service members who have gone missing in action. At the Pentagon in Arlington, Va., thousands of motorcyclists gathered to participate in the 26th "Rolling Thunder" motorcycle rally, May 26, 2013. The event is in its 26th year now. Participants from around the United States gathered at the Pentagon before embarking on a ride around the National Mall in Washington, D.C. The rally brings attention to prisoners of war and those missing in action. 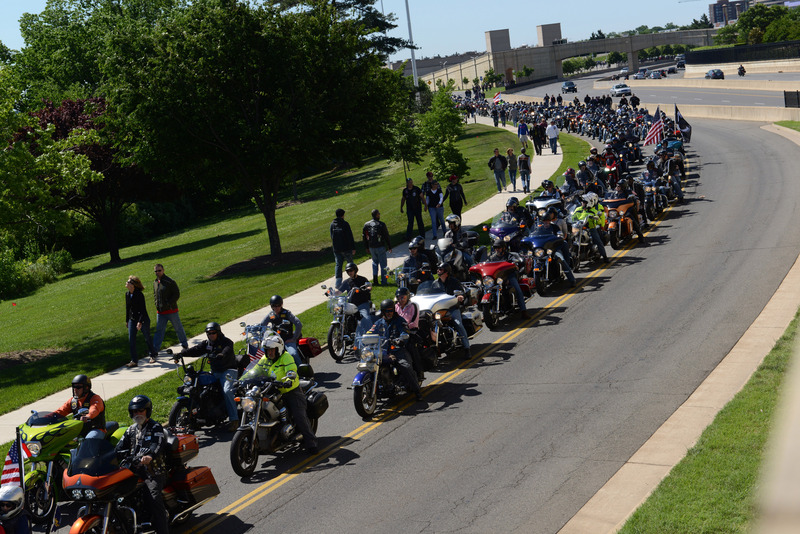 To make their voices heard, he and thousands of others gathered on their motorcycles in the vast parking lots surrounding the Pentagon to rally in advance of the 2013 Rolling Thunder "Ride for Freedom" around the National Mall in Washington, D.C., over Memorial Day weekend. Scheuneman and his wife of 42 years, Gail, rode to Washington, D.C., from Charlotte, N.C. He's been coming to the rally now for 10 years -- though Gail said family commitments have kept her from coming along every time. "We want to make sure they account for every POW and MIA," Scheuneman said. "I don't know how many are still missing. They are bringing back a few. Every year they find the remains of somebody." 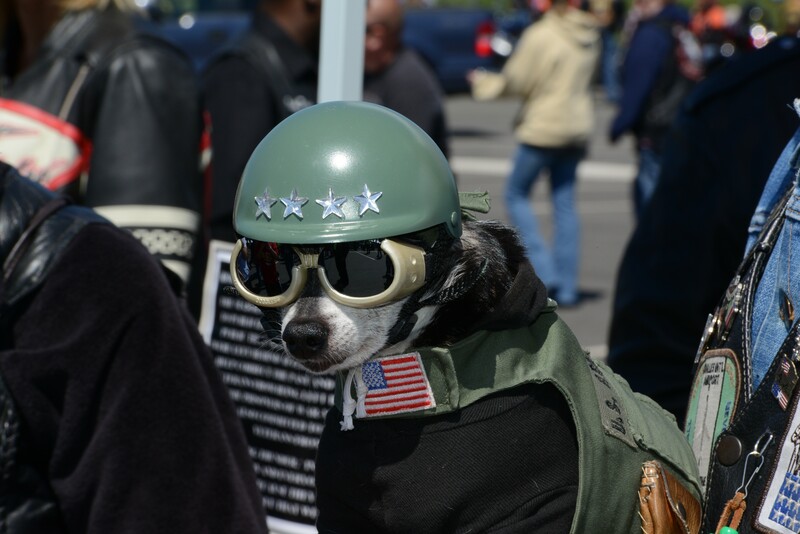 In its 26th year now, the rally left the parking lots a sea of leather, chrome, American flags and veterans of multiple wars who want to see those they fought with repatriated. "I'm here to create awareness of the POWs and MIAs, past and present -- and spread the word across the country that we still have 58,400 men missing," said Jim Harper, who served in the Navy as a "Seabee" from 1969-1973. He rode to the Pentagon from Rancho Cucamonga, Calif.-- a 10-day trip. "They need to go out there and actually look for them," Harper said. "We've got one in Afghanistan right now." Harper was talking about Army Sgt. Bowe R. Bergdahl, who went missing in 2009. Many riders wore stickers dedicating their ride to Bergdahl. "He's been there since 2009," Harper said. "Why haven't they gone after him? The government could actually get involved with the countries we've fought in, and go out and look for them. Whether they are dead or alive, we need to bring them home." Mike Matejov and Judy Wormmeester are brother and sister. The two rode from California to Washington, D.C., where they met up with their sister, Theresa Freeze, who lives in the area. The three -- from a family with five brothers and five sisters -- rode together in Rolling Thunder this year. They want their older brother Joseph, who has now been classified as "killed in action," to be reclassified as "missing in action." Air Force Sgt. Joseph A. Matejov, the third-born of the 10 Matejov children, was aboard an Air Force aircraft that went down Feb. 5, 1973, in Laos. "His mission was reconnaissance -- making sure enemy troops weren't moving," said younger brother, Mike Matejov. The siblings don't believe their older brother was killed in the crash. "We were told, originally, that everybody was killed on the plane," Freeze said. "We found out five or six years later there were four survivors that were captured. They tracked them for days. Their names were on the list to come home with all the other POWs, but for the good of the many their names were taken off because it was Laos, where we weren't supposed to be after the peace treaty." Freeze served in military intelligence before leaving the Army as a captain. She was among the second class of women to graduate from the U.S. Military Academy at West Point, N.Y., a school her father also graduated from. "I don't believe he died in that crash, I believe he was taken prisoner, and I'd like to know what happened to him," Wormmeester said. "They can reclassify him missing in action. They've declared him killed in action now. They went in in 1993, 20 years later, and they brought back 27 fragments that can't even be declared as human, and they declared them all killed in action." While only three of the Matejov children rode in Rolling Thunder, others, including an older brother who served in the Marine Corps, want to see their brother's status changed to missing in action. "My brother who was in the Marine Corps was Joe's best buddy. They enlisted one after another -- he's actually pursuing getting his status changed," Wormmeester said. Amongst the 10 brothers and sisters, all four branches of the military were represented: Army, Navy, Air Force and Marine Corps. Once sister also served in the Peace Corps. There are still MIAs in Vietnam and other places, and the Joint Prisoners of War, Missing in Action Accounting Command does send workers there to find and reclaim remains of those service members. 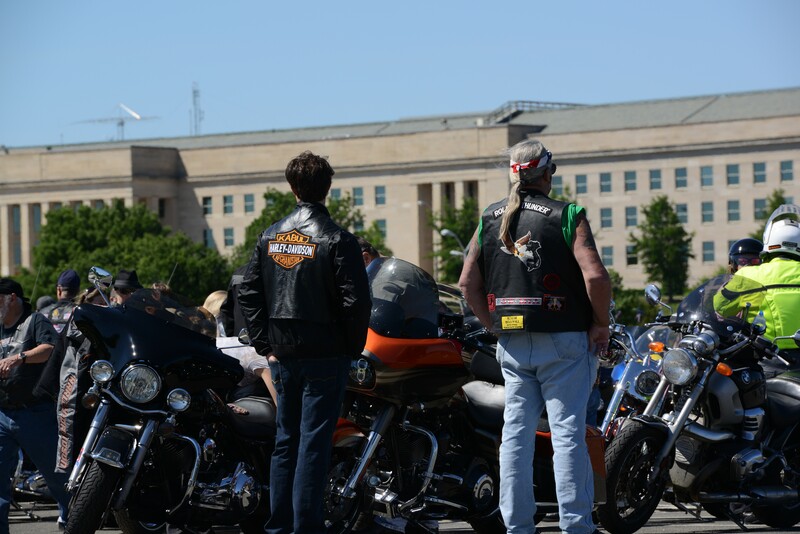 Participants in Rolling Thunder aren't just veterans of Vietnam. They also include veterans of operations Desert Storm, Iraqi Freedom, and Enduring Freedom, as well as supporters of veterans.